National hero Dr. Jose Rizal once famously wrote that the youth is the hope of the fatherland. That still rings true today, especially in the Shoe Capital of the Philippines, Marikina City, where high school students are taught how to make shoes, the craft and industry that contributed much to the growth of their hometown. The City Government of Marikina under the leadership of Mayor Marcy Teodoro recognizes the potential of the youth in reinvigorating the footwear industry and is now working to add college courses about shoe making and shoe business in two state-owned schools in the city. These courses would encourage more young people to go into the shoe industry. But even before the introduction of these courses, some of Marikina’s young students are already into shoemaking as school projects. 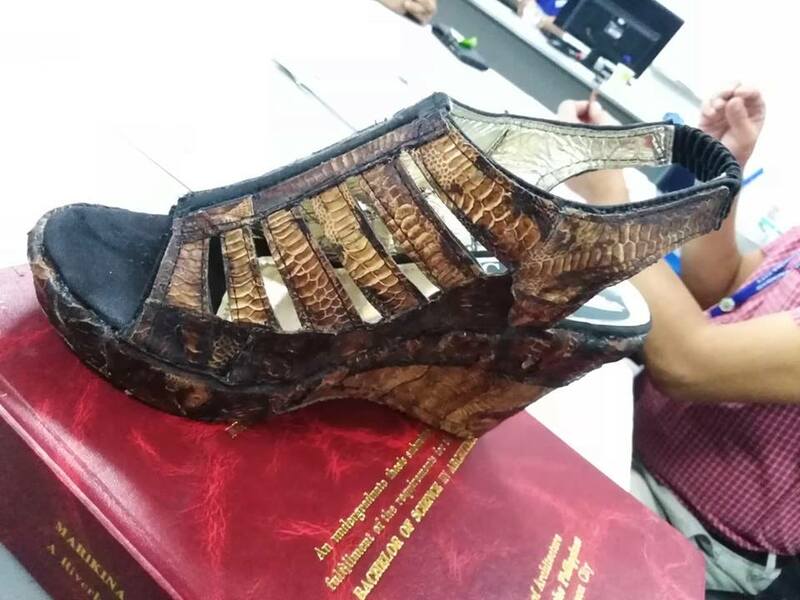 For instance, senior high school students from the Marikina Polytechnic College (MPC) consulted officials of the Marikina Shoe Industry Development Office (MASIDO) headed by Noel Box about the use of coconut spathe, moringa tree bark and even chicken scales in making shoes, especially as materials for the upper. "It's good to know that there are more and more young people who are interested in the shoe industry. We encourage them, we give them advice because they are the future of this city and of the shoe industry," said Cla Martinez Badong, consultant at MASIDO, in an interview. 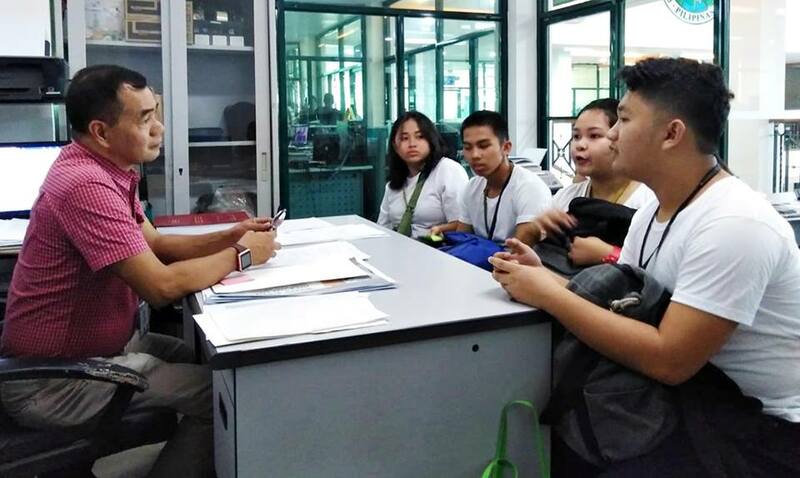 Just a few days ago, on January 28, a group of MPC senior high school students belonging to the Science, Technology, Engineering and Mathematics (STEM) department consulted MASIDO officials, who happened to be meeting with shoe manufacturers at the C Point store in Marikina, about the use of the coconut spathe. 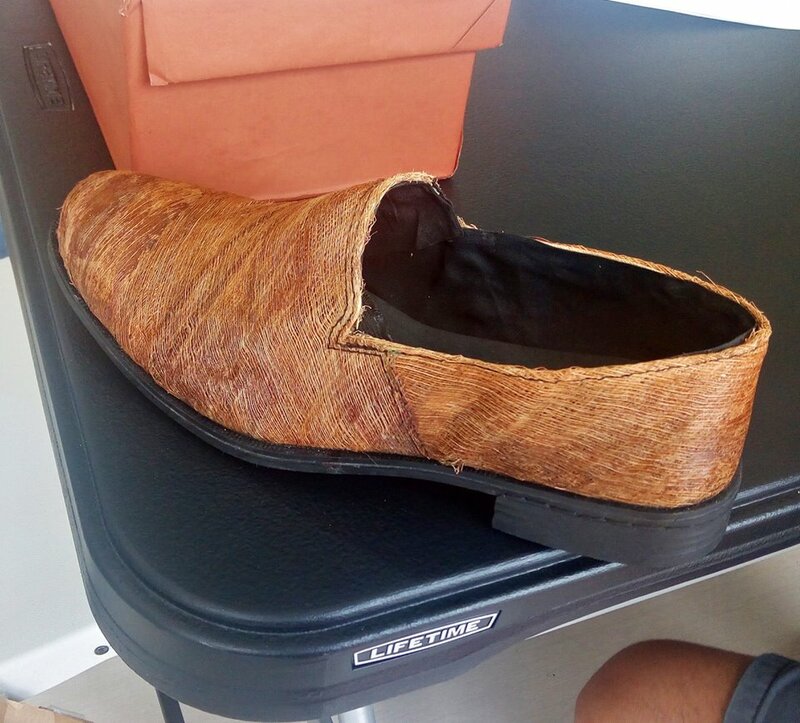 “These students wanted to ask the manufacturers a few questions regarding the footwear they made out of the coconut spathe or what they call “tis-tis” in our local tongue. 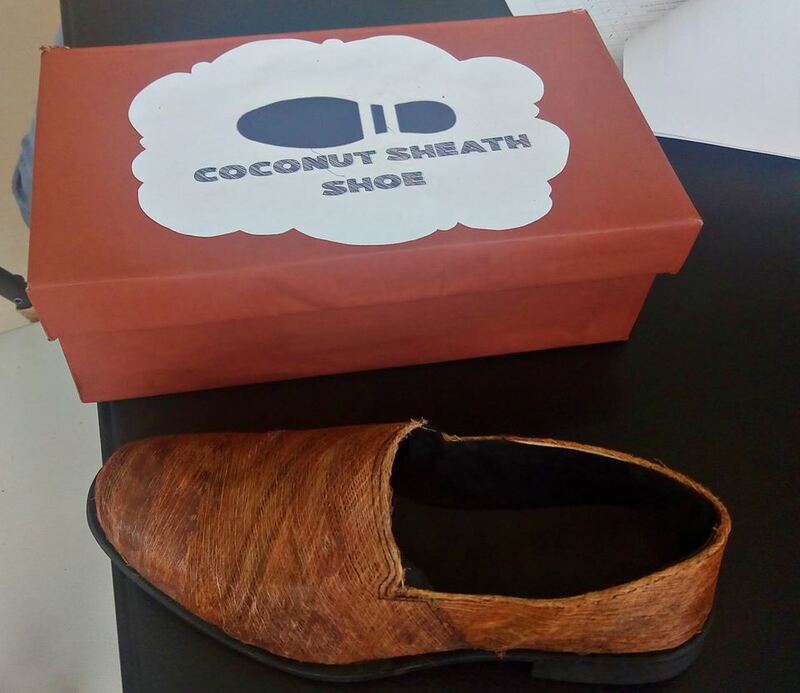 Traditionally, the coconut spathe has been used as insole wrap or footbed for house slippers or sandals. These kids decided to use it for footwear upper as project study,” MASIDO said in a Facebook post. The manufacturers advised the students that they have to “find a substance that will strengthen the fibers of the coconut sheath for it to withstand the pressure of material handling and lasting,” MASIDO’s Facebook post continued. They also gave words of encouragement to the young, would-be shoe designers and makers. Another group of senior high school students also from MPC came to MASIDO to consult about the use of the tree bark from moringa as shoe uppers. “We were unsure at first. But we encouraged the kids to seriously pursue their project since we think that their idea has a potential after seeing a couple of pictures of the fiber and asked them to bring us samples of the different stages of material preparation so we could determine more about its potential,” MASIDO said in another Facebook post. “We also guided them how to process the fiber so it could meet the requirements needed for shoe uppers,” it said. 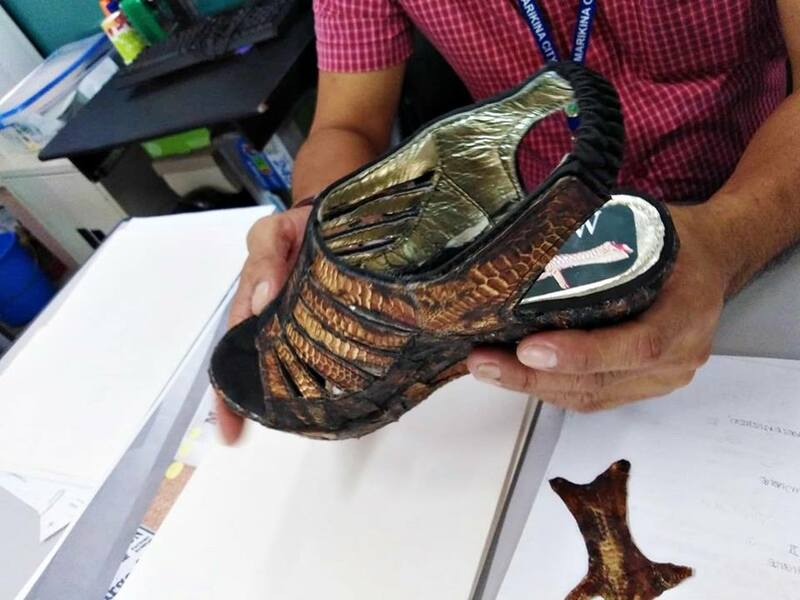 Meanwhile, another group of senior high school students also from MPC sought the opinion of MASIDO about the use of chicken scales from chicken feet as materials for footwear, MASIDO said in another Facebook post. “(They) came to ask our opinion regarding the use of the chicken scales from the chicken feet which they tanned themselves and used for upper for a pair of high wedge sandals. The skin seems to be doable and needs more improvement as the chicken leather skin lacks suppleness,” MASIDO said. Whoever said that youth is wasted on the young obviously has not met these talented, creative and innovative Marikina high school students who think out-of-the-box. Right Mr. Box? Our national hero would be proud!